Attorney Profile | The Law Office of Abigail Edelstein, P.A. Attorney Abigail Edelstein combines her diverse work experience in the business, real estate, mortgage, and legal fields to create effective and real solutions to fit her client’s needs. Ms. Edelstein focuses her practice on corporate/business law, contract law, estate planning, and trusts. Ms. Edelstein was born and raised in Orlando, FL. 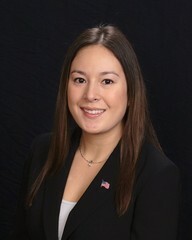 Ms. Edelstein holds a Juris Doctor degree with honors from Florida A&M University College of Law where she graduated in the top 15% of her class. Ms. Edelstein received her Bachelor’s Degree in Political Science from the University of Central Florida and an Associate of Arts Degree from Seminole State College. Ms. Edelstein is a member of The Florida Bar, the Central Florida Association for Women Lawyers, the Orange County Bar Association, and the Greater Orlando Asian American Bar Association. Ms. Edelstein shares an equal passion for pro bono causes. She volunteers as a Guardian Ad Litem for abused and neglected children, serves on the board of directors for BASE Camp Children’s Cancer Foundation, and serves on the Advisory Council for the U.S. Green Chamber of Commerce. Ms. Edelstein focuses on being accessible to her clients by promptly responding to phone calls, messages, and emails. She always keeps clients updated with frequent updates. Attorney Edelstein is committed to providing exceptional legal services that are personalized for every client. Please contact us at (407) 862-9449 or via our contact form to schedule a consultation with Attorney Abigail Edelstein. Find out more about our practice areas. © The Law Office of Abigail Edelstein, P.A.